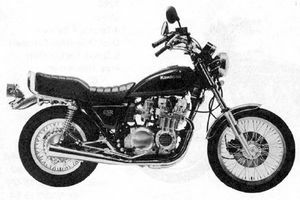 The Kawasaki KZ650H is a motorcycle produced by Kawasaki from 1981 to 1983. Remarks: Front single disc brake, rear drum brake, wire spoke wheels. This page was last edited on 26 August 2010, at 18:22.